And for my next trick….I’m going to give the Royal Parks Half Marathon a go. Again. It is in approximately 3 weeks time and I’ve only just agreed to do it. Two of my friends were running it for a very worthwhile charity called Homestart (more later) when one of them injured her foot. I was on the reserve bench and got called up. This is a Good Thing, but right now it feels like a bit of a mountain to climb. I did last year’s in 1.56, so if I break 2 hours I’ll be delighted. In fact reading back over last year’s preparation, I’m no worse off this time round. I’ve been concentrating on shorter distances lately, trying to break 50 minutes for a 10k (I have come within 4 minutes so far, so some way to go). The reason being that when you work, have kids, have a husband and like to see your friends from time to time, finding time to go out running for an hour and a half or two hours is not the easiest thing. Because sometimes if I have 2 whole hours to myself there are many many things that vie for it’s attention. 1. This blog lurks in the corner, looking at me with big puppy dog eyes ‘please write me, don’t neglect me!‘ it says sadly, I feel a guilty lurch and open the laptop. 2. When that’s done and just as the trainers are going on the weeds in the garden start to sneer at me ‘we know you’re never going to pull us up, we’re just going to happily thwart all the pretty plants you lovingly planted in the summer and there’s no one to stop us, ha ha ha‘, so I put on my gardening gloves. I’ll just do 10 minutes of weeding, that’ll leave me, oh about an hour for a run, I can do 11 k in an hour can’t I? Yes that’s fine. 3. Weeding done, and I’m almost out the door when the big pile of mail on the table eyes me sulkily ‘you keep saying you’ll file us or open us or chuck us, but please don’t just leave us. Again!‘. Oh bloody hell, okay, that’s 7 minutes. Still squeeze in 8K maybe 10k at a stretch before the kids get back. And so it goes on. I am nothing if not easily distracted. Then there’s the other really rather odd and completely out of character distraction. Swimming. Weird huh? When I did the triathlon I’d happily never have set foot in water again (unless for a bath, or a jacuzzi of course), but somehow I’ve become a very keen swimmer. I’ll happily go to the local pool on a weekday evening after putting the kids to bed and knock out 50 lenghts of front crawl. I love it. And it’s a very good counter balance to the running you see. Core strength and all that malarky. I am aware how smug I sound, just humour me. But it’s eating into my running time. My trainers look at me like a cat who’s realised they are no longer number one, bit like Mabel actually since the girls came along, poor Mabel. My trainers and Mabel being likened to each other, who’d have thought. So anyway. I’m going to do this half marathon in just under 3 weeks, I am under prepared but I’m game and that’s the spirit right? I’m running for Homestart, a charity that helps parents. Across the UK more than 15,000 Home-Start volunteers visit families at home each week, supporting parents in situations as diverse as isolation, bereavement, multiple births, illness, disability or who are just finding parenting a struggle. They provide non-judgemental practical and emotional support and help build the family’s confidence and ability to cope. 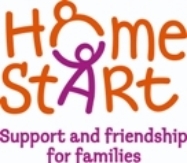 Home-Start runs more services and has more volunteers supporting more families than any other family support charity in the UK. I will be forever in your debt, and my trainers will be very grateful too. So will Mabel. But not the plants or the mail on in fact this blog. But you can’t have everything.